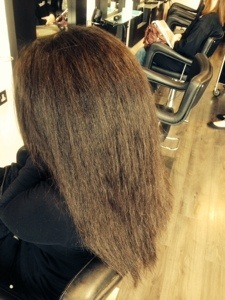 So like I promised here is my experience with the Brazilian Blow dry. I’ve come to 3 Crystals in Palmers Green, the salon is run by three sisters, they are my angels in disguise as they have changed my life with this product. After getting my hair washed, it was time to rough dry it and apply the product, brushing small sections through with it. I must take my hat off to the girls for being so patient with me, I would have told a client like myself to bugger off a long time ago, but they’re good and they like seeing the transformation just as much as I do. Once the product is in, there is about a ten minute wait, just to let the product really get into the roots. May I note that the strength of the product can sting your nose and eyes but is not chemically harmful. No pain no gain right ladies? In this case gents too!! While I’ve been here I’ve seen a few guys get it done, it makes their hair shiny and more manageable (less product use). Please remember that you must use a sulphate free shampoo and specific products to ensure that you do not wash the product off!! I use Moroccan oil products and Label M, they smell amazing and it also treats your hair. I also use Moroccan oil which you can read about in a previous post. After my hair is straightened it will be washed within an hour, however all products differ so your hairdresser will advise you on this. I highly recommend this miracle. I am so happy with it, I will never again look back at my dry, dull, frizzy and unmanageable hair. HAPPY DAYS!!! And so I leave you all with some before and after shots. Let me know what you think. 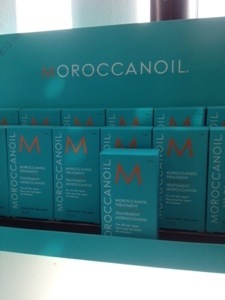 Morrocan oil is making its way through our shelves, although it usually can only be bought in salons. 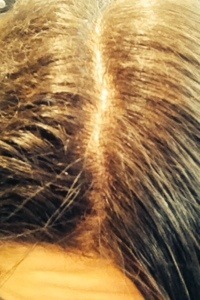 I started using Morrocan oil a few months ago, after having a Brazilian hair treatment. They have both been life changers and I can’t live without them. After going to a hairdresser that got ‘scissor happy’ and cut my hair too short for my liking, I was advised to use Morrocan oil. Not only does it have all sorts of benefits for your hair such as strengthening and fixing broken bits, it helps it grow at a faster rate. 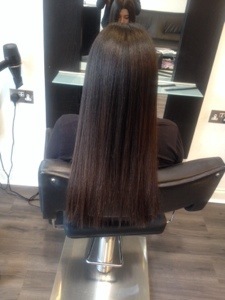 As for the Brazilian blow dry (which I got done at 3 Crystals in Palmers Green) I believe it to be a revolution. I can straighten my hair within 15 minutes (it took me an hour before). If you have time and some cash to spare, and you have big frizzy hair such as myself, I strongly recommend trying it out!! 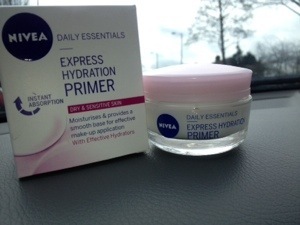 I just picked up Nivea Express Hydration ‘Primer’…. I’ve been seeking a decent face cream for some time now, so I’m going to see how this goes.. It cost £3.99 from my local pharmacist… Has anyone ever used it? The packaging states that you can use it as a general facial moisturiser, and you can also apply it before putting on make up as a ‘smooth base’ which is a plus!! Let’s see how good it really is..
“Metamorphosis” is the transformation of something. What comes to mind when I hear this word is a caterpillar transforming into a beautiful butterfly. So being the ‘change seeking’ girl I am I have decided on letting myself ‘neutralise’ this month, so that by the end of the month I can transform!! I have been on a diet these past few weeks, compliments of a gastric bug that kicked me into it haha. Now, every time I see a soft spongy donut, i seem to stare at it evilly, licking my lips, but then I have to walk away… We all know the pain! I have also been growing my eyebrows out and wearing no make up just to let my face ‘breathe’ and ‘cleanse’. So, food for thought (only salad unfortunately), lets all try to make one change for the better. For ourselves or for somebody else, it could be the smallest thing, but could make huge improvements!! !